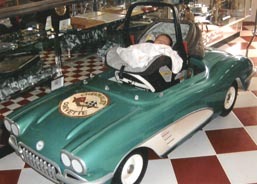 Meet Ezra, newest grandson of Di, a member of Cedar Rapids Corvette Club in the West Region. In the background is grandma's mailbox with her YLOFEVR 2000 convertible air-brushed on it. Ezra's big sisters are FCOA 2018 Breyona and FCOA 2019 Aubree. 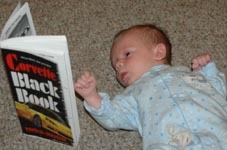 Michael's showing everyone that you're never too young to start learning about Corvettes! 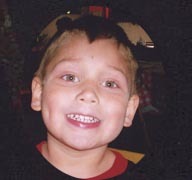 He'll be watching his daddy detail his 2002 Z06 for shows & cheering for him at speed events. 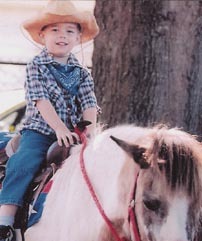 He'll also like to go to drag races where he'll watch his mom drag race her 2004 convertible. 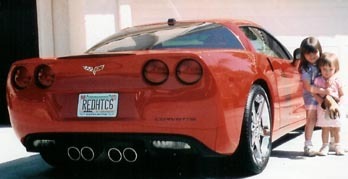 Michael's parents, Randy & Carol, are members of Windy City Corvettes in the Midwest Region. 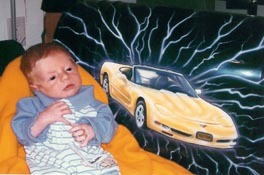 Here's Colton sitting in his Corvette rocker which matches his Grandpa Rapp's 2003 50th Anniversary convertible. 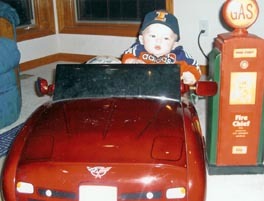 Colton's grandpa is a member of Corvette Club of Illinois in the Midwest Region. Besides shopping for dresses and shoes, one of Melania's favorite things to do is cruising in her daddy's 1971 LT-1 coupe. She also enjoys traveling to Italy to visit her grandparents. Melania's daddy is a member of G-burg Vettes in the East Region. Devin has a big smile as he proudly shows everyone the May 2003 issue of Corvette Enthusiast magazine which featured his future car, grandpa's 1993 coupe. 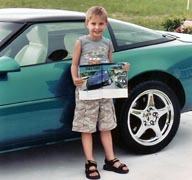 Devin's Grandpa & Grandma Circelli are members of Corvettes of the Gulf in the Florida Region. Shelby looks like she's having a pleasant dream about which of grandpa's Corvettes she's going to go cruising in when she gets a little older! Grandpa & Grandma Shepherd are Lifetime Members of NCCC in Aquia Creek Corvette Club in the East Region. 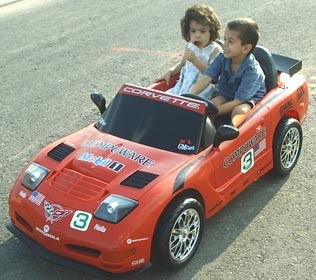 2-year old Anna is going for a ride with her older brother Michael (FCOA #2658) in their C6 roadster. She's saying "Hey, slow down Mikey. I'm trying to get a good flavor from my binky and you're making me car sick"! Her Grandpa DeSocio is a member of Destiny Corvette Club in the Northeast Region and also has served as the NE Region Executive. 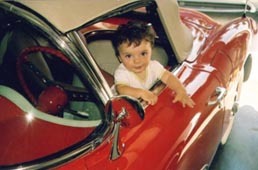 Here's Ryan in Grandpa McLoughlin's '57 Vette ~ you can see that grandpa is already inspiring Ryan with his passion for Corvettes! 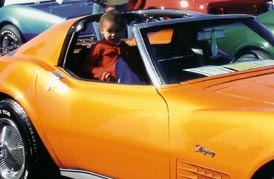 His grandpa is a member of Corvettes on the Gulf in the Florida Region. Ryan's mom is teaching him to "save the wave" by waving at other Corvettes when they're out driving. 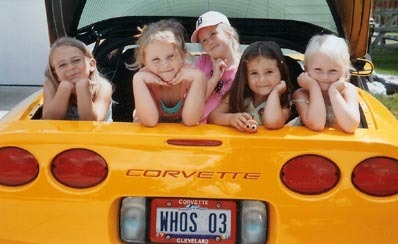 Caylie (FCOA #1711), Lindsey, Amanda, Hannah (FCOA #2261) & Leah. 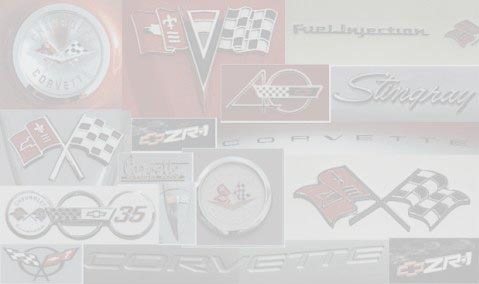 They are members of Corvette Cleveland in the East Ohio Region.